A living specimen from the Bay of Villefranche on September 15th 2012. 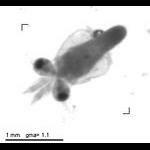 This species is often found carrying around a very large diatom. 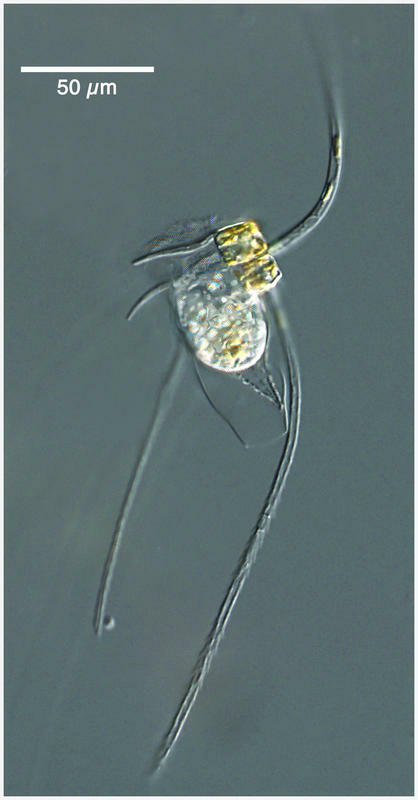 The relationship may be profitable to both: the tintinnid may be less easily eaten and the diatom becomes mobile, staying near the surface to allow photosynthesis. Read more about this odd couple in "Gómez, F. 2007. On the consortium of the tintinnid Eutintinnus and the diatom Chaetoceros in the Pacific Ocean. Marine Biology 151, 1899-1906"